Our annual conference is the premier educational event for PACE programs nationwide, as well as for those interested in learning more about PACE. The 2018 NPA Annual Conference was held Oct. 21-24 at the Hilton Portland Downtown in Portland, OR. The conference brought together a diverse audience of administrative, primary care and clinical staff from PACE and Pre-PACE programs. Organizations considering PACE development; state, federal, legislative and regulatory staff; and other long-term care service providers also attended. Educational sessions were offered Oct. 22-24. Featured subject areas included PACE service diversification, the use of DataPACE3 for quality improvement activities, growth strategies for PACE, the use of PACE waiver opportunities, and operational efficiencies. This year’s conference also featured a rehab/therapy concentration as part of the overall session offerings, focusing on information exchange and problem-solving. In addition, 60-minute roundtable discussions were held on a variety of hot topics in PACE. You can view the Conference Program. The hashtag for social media postings related to the conference was #NPA2018AC. The keynote speaker during the Opening General Session of the conference was Kim Campbell. She was married to country/pop star Glen Campbell, who was diagnosed with Alzheimer’s disease in 2011 and passed away in August 2017. When her husband was diagnosed, “I didn’t really know anything about Alzheimer’s,” she said. She launched CareLiving in 2016 to support and advocate for caregivers. She continues to honor her late husband's memory through her work to improve the quality of life for people with dementia and their caregivers. 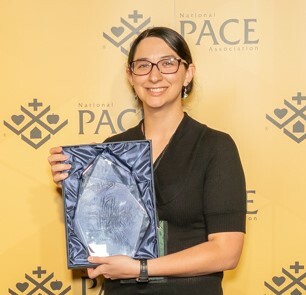 Kim Campbell learned about PACE when she was invited to keynote the NPA Annual Conference. “Now I’ll be able to tell people about PACE and point them in the right direction,” she said. NPA honored the 2018 recipients of the Marie-Louise Ansak Award and Judy Baskins Volunteer Leadership Award during the Leadership and Awards Luncheon on Oct. 23. The Outstanding PACE Nurse of the Year Award was presented at the Nursing Symposium during pre-conference activities on Oct. 21. 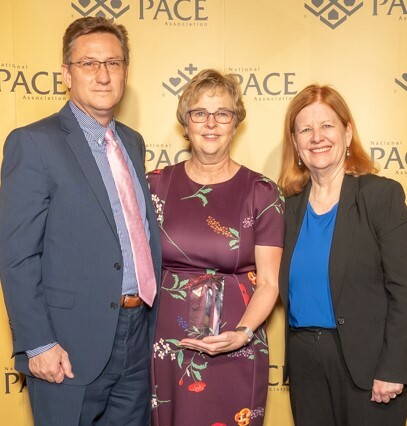 Emily Cutler-Brockway, of PACE Southeast Michigan, received the Marie-Louise Ansak Award, and Tim Clontz, of Cone Health, received the Judy Baskins Volunteer Leadership Award. 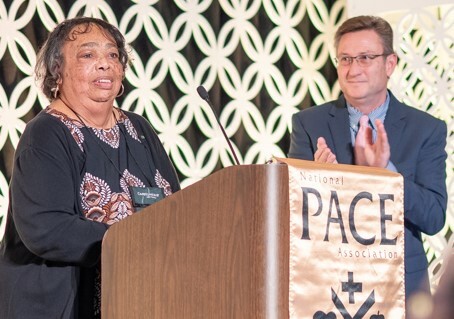 Celia Walta, RN, MS, of Providence ElderPlace in Portland, was named Outstanding PACE Nurse of the Year Award. 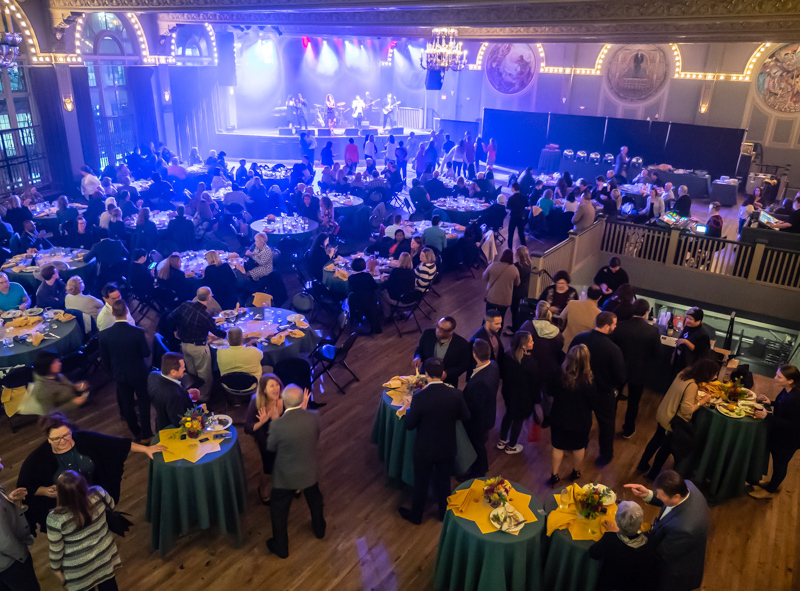 This year's social event during the conference was an evening at the Historic Crystal Ballroom on Oct. 23. The Portland landmark has served as a music hall and performance venue for over a hundred years, hosting acts such as the Grateful Dead and Ike and Tina Turner. Its restored “floating” dance floor is the only one of its kind on the Pacific Coast. Attendees enjoyed a buffet dinner and tastings from local wineries and breweries. Entertainment included local musical talent, master illusionist Hart Keene and other special guests. received the 2018 Marie-Louise Ansak Award. member Kathryn McGuire (center) during her career. 17 years of service to NPA and its members. She will retire on Dec. 21. 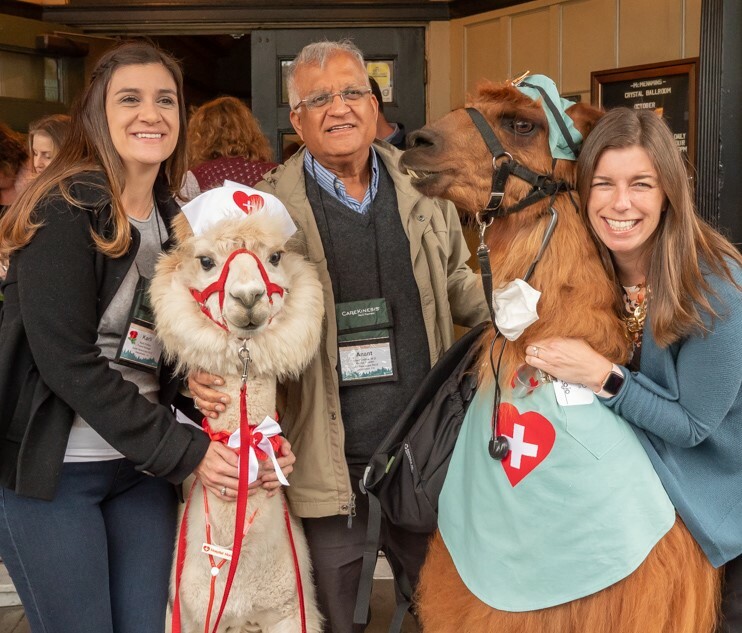 Conference-goers who attended the evening at the Historic Crystal Ballroom were greeted by special guests. The Historic Crystal Ballroom, the location of this year's social event, features a restored “floating” dance floor, the only one of its kind on the Pacific Coast.